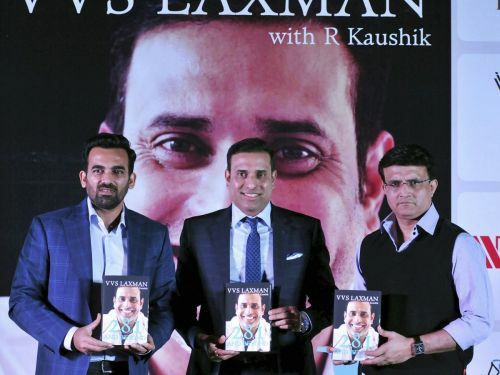 VVS Laxman, the legendary Indian batsman, recently launched his biography titled '281 and Beyond'. Sourav Ganguly and Zaheer Khan were also present at the book launch in Kolkata. At the event, Ganguly had something interesting to say while emphasizing Laxman's knock of 281 runs against Australia. He jovially mentioned that he had asked Laxman to change the title to '281 and Beyond, and that saved Sourav Ganguly's career'. Sourav Ganguly, regarded as one of India's best captains, donned the captaincy cap way back in 2000 - when the match-fixing scandal had just engulfed the Indian team. It was Ganguly who took charge of the team in those turbulent times and dragged them out of turmoil. Eventually, Ganguly went on to become one of the greatest captains in the history of cricket. The former Indian captain enjoyed many landmark moments while at the helm, but one instance that remains fresh in his memory till today is India's historic win against Australians at the iconic Eden Gardens in 2001. India were 0-1 down in the series while facing a follow-on in the second Test, but Laxman's 281 and Dravid's 180 helped Ganguly's team defeat Australia by a hefty margin. In the process, they kick-started a new phase in Indian cricket. The title of Laxman's biography, 281 and Beyond, is based on the same event. Having acknowledged the significance of Laxman's 281, Ganguly said, “I also texted him a month back, but he didn’t reply. I told him it was not the apt title… It should have been ‘281 and beyond, and that saved Sourav Ganguly’s career’. "I strongly opposed the title because if he had not scored 281, we would have lost the Test and I would not have been captain again,” he added. There is some truth to Ganguly's words, as a series loss to Australia in 2001 may well have plunged the Indian team into further darkness. It is unclear how many more chances Ganguly would have got if his team had been humiliated by the visiting Australians. Laxman and Ganguly have always held the utmost respect for each other, and that is likely to continue as they go on with their post-retirement roles. Ganguly has inserted himself into the country's cricket administration, while Laxman is a part of several commentary teams. Their paths are expected to cross many times in the future, and the fans would hope that they continue maintaining such a cordial relationship with each other. Did Ganguly's India sabotage Laxman's Career?